Enrouting Milam Glacier from Bridge Ganga Top. 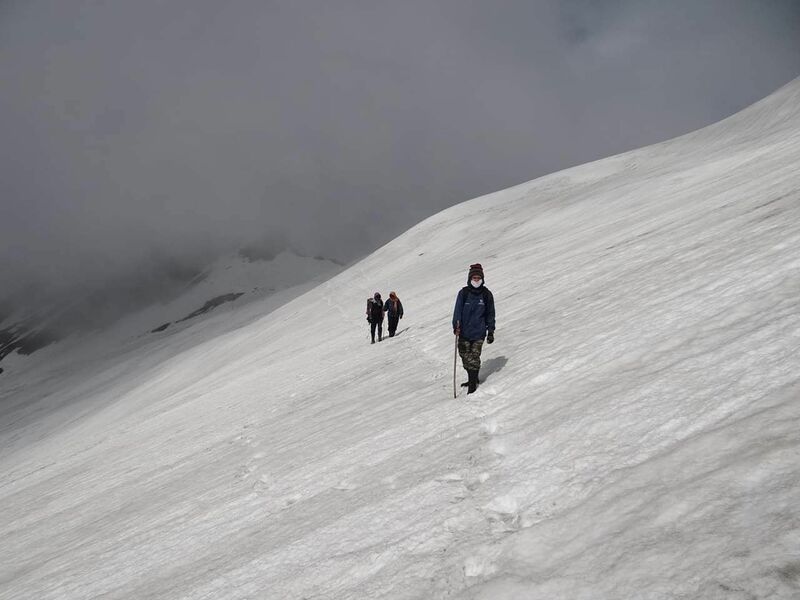 It is a 4-5 hours trekking all on snow at 4600 m asl in Pithoragarh District of Uttarakhand state, India. We were a team of 12 researchera along with 6 porters.